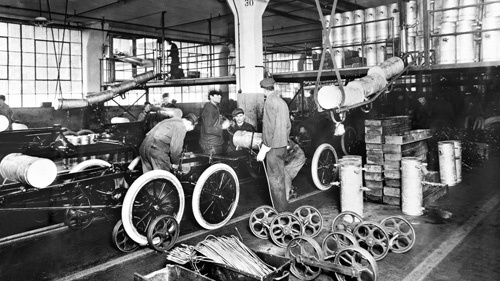 Do the recent recall-problems of Toyota disqualify the famous Toyota Production System (TPS)? No, on the contrary, they are a sign that a revival of the TPS is requisite! 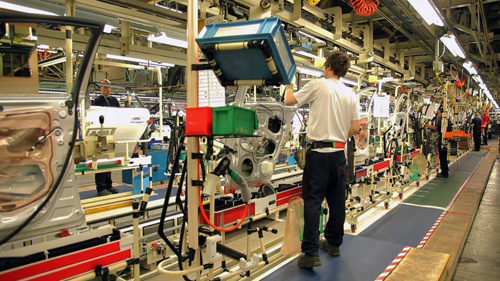 The Toyota Production System (TPS) is the archetype and shining example of Lean Manufacturing, though it should be kept in mind that this system is tailored to the needs of Toyota, so that it can't be copied to other companies without adaption. In addition, TPS encompasses not only common Lean-principles such as reducing waste, stimulating flow and creating market-pull, but includes also lean management en the use of other improvement methods such as Total Productive Maintenance. Recently, for the first time during its existence, the TPS became the target of serious criticism! The recalls by Toyota of more then eight million cars to replace floor mats and to adjust accelerator pedals, lead to many news reports and articles like ‘Toyota Production System of Stroke’ or ‘Lean Fires Back’. Did Toyota lost its way? Are the basic principles of the TPS no longer good? In this article I want to show that the answer to the first question is ‘yes’ in some aspects, because Toyota is indeed struggling to cope with increasing complexity in the form of fast growth and globalization. The answer to the second question is however definitely ‘no’. In fact, the opposite is true: If Toyota lost its way, then this is because the application of their own TPS principles weakened. So, a return to the basics is necessary, and, when listening to Akio Toyoda, you can hear that this is exactly what Toyota intends to do! To return to answering the second question: Is it possible that Toyota became too Lean, or, formulated broader: Is it possible that consistently applying Lean manufacturing or other continuous improvement methods, can lead to problems such as a huge recall? Below, two reasons why I am convinced that this is not the case! The goal of Lean manufacturing, and all other management approaches on this site, is the same: Timely delivering products or services which optimally fulfill the needs of the customers. Of course, these customers want high quality at low costs. Therefore, consistently applying Lean, or other customer-oriented improvement methods like Six Sigma, will lead to a reduction of product defects. It will be clear that a customer who buys a Toyota doesn’t want the fuss of a recall, let alone that they want a car with a (although very small) chance of sudden unintended acceleration (SUA). Not for nothing a recall is, in Lean-terminology, one of the seven big wastes which should be prevented as much as possible. A recall can be regarded as a form of rework on existing products, which should have been produced first time right. Many people think that improvement methods like Lean, Six Sigma, TOC, QRM, TPM - or mixed, customized and integrated forms of those methods as seen in big and experienced companies like Toyota, Unilever and Shell - where invented at a certain point in time. However that is not the case. Methods like Lean did evolve in time, and do continue to do so! So, saying something like ‘Lean is falsified now, because of the recent recalls’, basically is the same as saying that physics as a whole should be relegated to the wastepaper basket. Of course, that makes no sense. What ís true, is that Lean should be adjusted or supplemented on a regular basis, to cope with new situations. This is also the way how Toyota developed their TPS, starting with principles already applied by Ford, like focus on flow. Toyota improved and adapted Ford's production system, to cope with their own situation: more car variants and scarcety of raw materials. One year after the recall of millions of cars, fortunately this largely turned out to be a storm in a teacup. Although each accident is of course very tragic and one too much, according to the National Highway Traffic Safety Administration (NHTSA) no more than two deadly accidents in the US (in 2007 and 2009) could be undoubtedly related to an incorrectly placed floor mat, behind which the gas pedal became stuck. In addition, before the recall, in some rare cases gas pedals could return slowly to their original position or, in extreme cases, could even stick leaving the throttle (partially) open. In the end, technically seen, there was not so much going on. However, Toyota did learned a lesson: their principle of self-reflection should be extended to the customer. Therefore the ways in which consumers can give fast feedback are now being improved. It is as if the famous Andon-system of Toyota, which gives operators the possibility to stop the production if they think there might be a quality problem, is extended to the customer. Doing this will not be easy, since consumers think differently then operators. Emotions, highly influenced by the media, play an important role. And what an employee of Toyota never does – jump to conclusions – those media do! Maybe that is in the end the most important lesson learned by the car manufacturer. There was another thing that catched my eye during all the agitation around the recalls. There is a large group of people who grab every opportunity to claim that just-in-time production now really is out-of-date. And because Toyota is the text book example of lean manufacturing, they invariably target that company. The most extreme example of this was seen after the recent earthquake in Japan: Toyota would be afflicted extra severe because of their low inventory, therefore Lean is no good. Of course, using natural disasters to discredit companies is something that you shouldn’t do anyway, but in addition the arguments are wrong again. After all, how should you prepare yourself for an earthquake of magnitude 8,9 on the Richter scale? Raise your inventory in advance, to be able to cope with it? Will you propose that to the board of your company? The many case descriptions on this site show that as a rule, applying methods like Lean will lead to better products, lower costs and shorter delivery times. Providing scientific evidence for that is however difficult, because it is impossible to do a double-blind research study on the implementation of Lean. However, in all case descriptions you will see that after applying continuous improvement method X or Y, for example the quality is improved or the throughput time is reduced. Though I read many stories attacking Toyota and their TPS, I never saw an observation opposite to the ones mentioned above: Toyota applied Lean principle Z, and because of that quality problems resulted, ending up in the recent recalls. On the contrary: when you study all the facts known thus far, and listen to what Toyota says themselves, you will notice that the current problems are related to a weakening of applying fundamental TPS principles. The reason for that is that Toyota was confronted with fast growth and increasing complexity, and it seems that they are struggling to adapt. 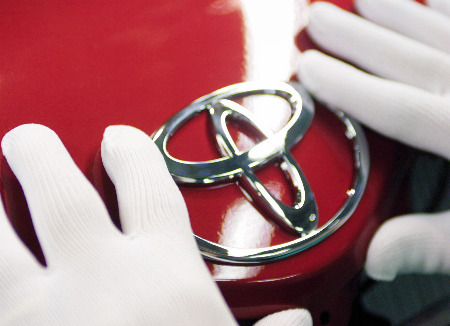 During the last ten years, the yearly production of Toyota rose from five to eight million cars. It seems that the organizational capacity within Toyota (e.g. to roll out the Toyota Way in new factories) could not keep pace with the increasing complexity and globalization (see, regarding increasing complexity, also items 5 and 7). Up to now, decisions upon conducting recalls were always made in Japan. This issue was among others discussed in the BBC-documentary Total Recallon march 23th. Now, as said by Akio Toyoda, it is the idea to disperse responsibilities more to local offices. One example is the new position of regional product safety executive. What makes this extra interesting, is that it is typical for Lean, to lay responsibilities as low in an organization as possible. So, while this was done by Toyota on the production level, they didn’t follow (enough) the same approach on the management level. Every grave accident caused by technical failure is of course one to many, and should be taken serious immediately. However, the chance of such an event will rise when you make lots and lots of cars. One example illustrates this: A component will have a quality level of Six Sigma if there are 3,4 defects per million. When such a component is placed in eight million cars, this problem still will affect 27 vehicles. For more then twenty years, Toyota was the perfect example of how to make high quality cars at low costs. When something goes wrong in such a case, this will of course attract a lot of media attention. Seen in that light, it is remarkable that the number of reported sudden unintended acceleration incidents in America is (to my knowledge) much higher then within Europe. So, it cannot be excluded that the claim culture and dissatisfaction about the failure of the automotive industry in the US (which can of course not be disconnected from the success of Toyota: Toyota's gain is Detroit's loss and vice versa), plays a role here. With this I do not mean to say that every reported problem is not correct, let alone that every accident report should not be taken very seriously! Increasingly complex car engineering and related software. Regarding to the accelerator pedal problem: What could have increased the complexity here is that, according to Toyota, this problem occurs only in rare situations and as a rule after a certain period of time. These kind of problems are of course harder to detect then things which can be tested during production. Toyota has explicitly stated that they never discovered or were provided with any evidence that also the so-called Electronic Throttle Control System with intelligence (ETCS-i) can cause unintended acceleration in a real world scenario (read: without deliberately rewiring and manipulating this system). To stress this, they even opened up their technology for independent external reviews by among others NASA, for the case of full transparency. Of course, this does not rule out that problems related to electronic management systems might occur in the future, and if so, this could affect a car of any brand. So, this is a challenge faced by all car manufacturers, certainly not only Toyota. Indisputable the cars of today are far more safer and sometimes also more environmentally friendly then they were ever before, and in part credit for that should be given to electronic control. However, if these systems fail, be it in very unique situations, possible accidents could be a result. Toyota, like all other car manufacturers, standardizes components and uses these in more then one car type. As a result, when there is a problem, this will lead to a much bigger recall, because several types of cars (and sometimes even several brands) are affected. However, as discussed in the main article, there is no evidence that standardization will reduce quality. Again like all other car manufactures, Toyota outsources the production of certain components to external suppliers, which, on their turn, buy components from second tier suppliers and so on. The idea is that a party which is specialized in producing a particular component, can do this better and cheaper. However, a supply chain with a lot of external suppliers is of course harder to control. To slow response to customer complaints. If this was the case at Toyota, this could be related to item 2. Interestingly, Toyota is known for raising quality by systematically monitoring which components wear out first, after which those components are improved. In a way, the formation of Swift Market Analysis Response Teams (see main text) could therefore be seen as a revival or broadening of this approach. In the text box above, ‘many possible causes for Toyota recalls’, I summarized topics raised in many articles I read in journals and on the internet, and I added some new ones myself. Note, that there is no single item which can be regarded as a consequence of Lean manufacturing. Maybe you have doubts about topic 6, which can indeed, though indirectly, be related to Lean. To reduce costs Toyota, like all other car manufactures, standardizes components and uses these in more then one car type. This approach not only encloses accelerator pedals, but even the so-called ‘platforms’ on which cars are built. As a consequence, nowadays there are even cars from different brands with the same underbody. As a result of this standardization, when there is a problem, this will lead to a much bigger recall, because several types of car will be affected. However, that does not mean that you can say that standardization will lead to reduced quality. In addition, standardization will not increase recalls counted as the number of cars which in total has to return to a service station, measured during a long period of time. I seriously doubt that cars would become safer, when car manufacturers don’t standardize any more, but buy components from many suppliers. In that case it will become almost impossible to check the quality of all those different components, and audit the suppliers concerned. Next, he said that one of the reasons of the current problems could be that the pace at which Toyota has grown might have been too quick. As a result, the basic approach to listen to the customers’ voice to make better products ‘weakened somewhat’. Finally, he added things interpreted by me as going back to the roots of the TPS: Listen to the customers’ voice to make increasingly better products, and: if any problems are observed: stop, think and make improvements. Car’s are becoming increasingly complex. We are for example increasingly becoming used to systems which take over control in emergency situations. Other examples are power management systems in cars. Toyota has explicitly stated (may 2010) that they never discovered or were provided with any evidence that the so-called Electronic Throttle Control System with intelligence (ETCS-i) can cause unintended acceleration in a real world scenario (read: without deliberately rewiring and manipulating the system). To stress this, Toyota even opened up their technology to an independent review by both a panel of safety, quality and engineering experts, and by engineers of the National Highway Traffic Safety Administration (NHTSA) in coöperation with NASA. Of course, that does not rule out that problems related to electronic management systems might occur in the future, and if so, this could concern a car of any brand. So, this is a challenge faced by all car manufacturers, certainly not only Toyota. To maintain factory installations and aeroplanes, already for many years Reliability Centered Maintenance (RCM) is applied. First, all possible kinds of failures and the possible effects for man, environment and finance are then mapped, by way of Failure Mode and Effect Analysis (FMEA). After that, focus is on reducing the possibility of the most serious failures. FMEA is already widely applied within the automotive industry, but I do not know if this also covers the lifecycle of the cars. To react very fast to problems such as with the accelerator pedal, you would need a system for very fast feedback by the customers. This could for example be in the form of simple questions when a customer delivers his or her car for servicing, like ‘did you experience any peculiarities?’. To make this a pro-active system, even remarks which might not seem very important at first (like: ‘it seems like my pedal is harder to depress’) should lead to a new FMEA-analysis, if these remarks are related to critical components. Interestingly, Toyota is already unfolding several initiatives to improve their responsiveness, see also their comments on this article. One example is the formation of a Swift Market Analysis Response Team (SMART ) in the US, which will attempt to contact customers within 24 hours of complaints related to unintended acceleration, for an on-site vehicle analysis. Knowing Toyota, and as already demonstrated above, they will not limit their problem-solving to the current recalls. Besides that, they will apply deep self-reflection to analyze how this situation could arise, and how similar problems can be prevented in the future. So, to conclude, this is not the end of the Toyota Production System, but a return to it’s roots: listen, stop, think, and make improvements. One example of such an improvement is the introduction of the brake-override system, explained on pressroom.toyota.com : when the brake pedal is pushed after the gas peedal, and the gas pedal remains still active, under certain conditions the car will respond mainly to the brake pedal. In addition, by the end of 2010 all new Toyota and Lexus vehicles will have Event Data Recorders or EDR's, that can record both pre- and post-crash data. Below the reaction of Toyota Motor Europe on this article, which we received on may 12th 2010 by way of the Dutch importer, Louwman & Parqui. "The superior quality of Toyota vehicles is guaranteed by our Toyota Production System, which includes quality checks at every step of the production process. Also, all our vehicles are submitted to the same rigourous and intensive test programmes as before. Of course, no system is 100% perfect, and in a spirit of continuous improvement we have committed to improve systems to monitor customer feedback, ensure rapid analysis and correction in case of any concern." 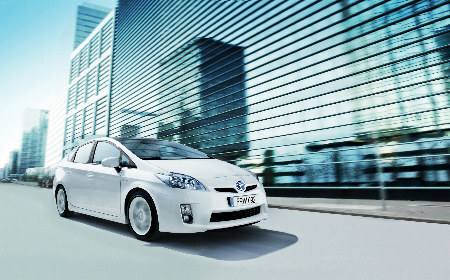 "Toyota has made major commitments to improve quality assurance from the customer viewpoint. Our President, Mr Toyoda, has devoted himself to advancing this effort, by leading Toyota's new Global Quality Special Committee. It is Toyota's top priority, and we believe we are making strong progress delivering on our commitments. Our entire company has mobilized to ensure that Toyota vehicles remain safe and reliable for our customers, not only when they are first sold or leased, but also during their entire lifetime of operation." "Toyota places the utmost importance on customer safety. Comprehensive quality assurance has been a fundamental part of our customer first philosophy since Toyotas establishment more than 70 years ago. In order to further assure the realization of our principles, we have appointed new Chief Quality Officers in each region, including Europe, to strengthen quality assurance, customer satisfaction and confidence in Toyota safety. We are giving regions a greater role in making safety decisions. And we are sharing information across regions on a more timely basis."